John Peyton Cooke - Home Page - News - Etc. 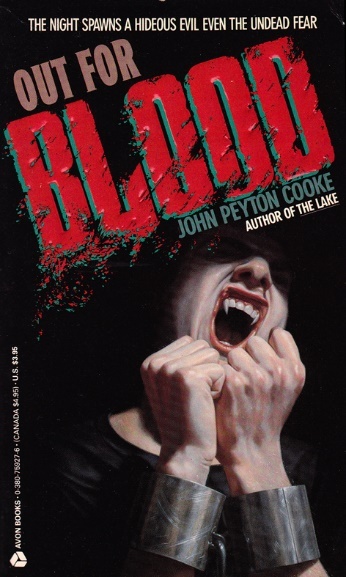 I am pleased to announce that my gay vampire novel OUT FOR BLOOD will be reprinted within the next year or so by Valancourt Books (publication date TBC). I love their catalogue. They publish “Horror & Supernatural,” “Gay Interest,” and “Neglected Classics.” Feel free to debate which of these singular categories OUT FOR BLOOD belongs to. It was originally published in 1991 by Avon Books (cover at right) toward the tail end of the horror glut. Copyright © 2018 by John Peyton Cooke. All rights reserved.